What is the worth of the skin you live in? It’s strange to think of your body as a source of raw materials, a purely physical commodity with a price tag attached – a commodity which sinister people may seek to acquire by fair means of foul. 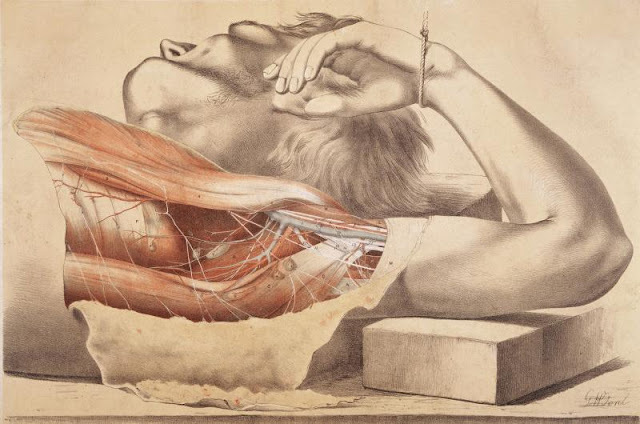 This new exhibition at the Museum of London explores this territory, examining the history of dissection and anatomical study in London, and the wider argument of donating our bodies to medical science. The exhibition begins by showing us a selection of attention-grabbing objects that aptly summarise much of what we’re about to see. 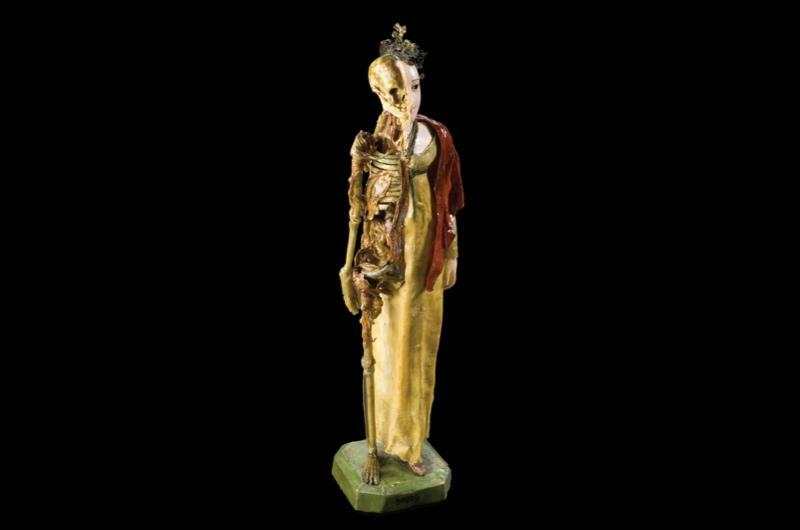 To some degree, this exhibition underlines certain contrasts and similarities inherent to the history of anatomy. The crossroads between art, science and religion is aptly showcased in the dramatic sight of sculptor Thomas Bank, and artists Benjamin West and Richard Crossway’s crucified man. In order to show an anatomically correct vision of Christ’s crucifixion, the men procured a body of an executed man, skinned him and nailed the body to a cross. What we see here is a plaster cast of this tortured corpse. It’s spookily lit, and the knowledge of its provenance gives it a strange, pained aura. We’re shown a skeleton dug up at the Royal London Hospital contrasted with a modern computer simulation of human anatomy. The skeleton looks brutally dismembered; the top of the skull sawed open to get at the brain – a cruel and barbarous sight compared to the neat, antiseptic CG imagery directly above it. This contrast between the messy, bloody past and the sterile, surgical present forms much of the basis for the layout of this exhibition as a whole. We begin in gloomily lit dark rooms, all earth colours and deep cherry reds. The rooms are painted black and spotlights pick out each exhibit in a pool of sickly light. As we progress through the exhibition, the colour palette gradually moves towards white, and the lighting gets brighter. It’s a neat and subtle way of showing how things have changed, and smartly (literally too) conveys growing enlightenment. I appreciate attention to detail like this and the strong design continuity throughout the exhibition – I was particularly impressed by the wallpaper in one room which features diagrams of organs, something you might not even notice unless you look closely. The layout of the rooms also gently invokes the surgical content of the exhibition. In one room, mirrors hang above tables displaying the exhibits, placing us in the role of the medical students who’d be dissecting and examining them. Putting us in this position gently encourages us identify with the viewpoint of the person wielding the scalpel. At various points in the exhibition red rubber strips are hung from the ceiling. 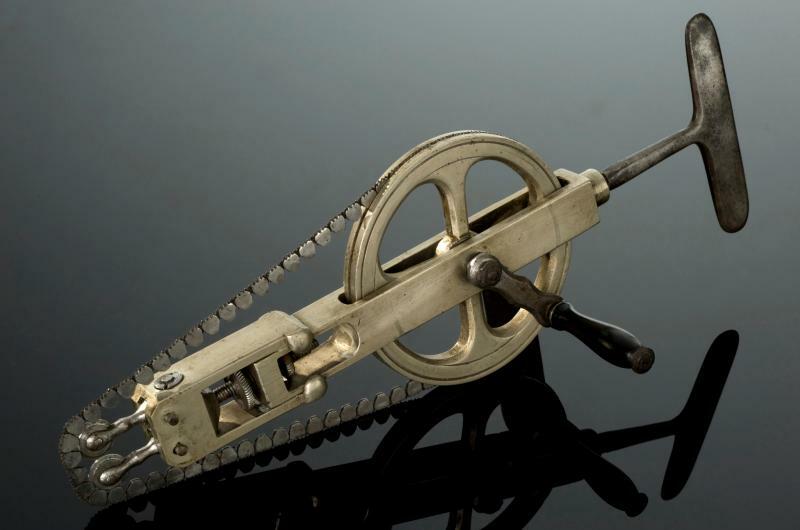 These serve two symbolic purposes; firstly they invoke the antiseptic and surgical bringing to mind an entry into a controlled and scientific environment, the second is that they force attendees to push against them to progress through to the next area. In this sense, we are probing and pushing against these red surfaces in much the same way as an anatomist might slice through human tissue. Again, all of this is very subtle stuff, but it’s an excellent way to keep people emotionally as well as intellectually engaged with the exhibition. One of the major focuses points here is grave robbing. Grave robbers were known as ‘resurrection men’, or ‘Burkers’ (after the infamous Burke and Hare). Medical schools in London needed cadavers to dissect, and their primary legitimate source was the bodies of executed criminals. But, despite London’s vast criminal underworld and a multitude of executions, there still wasn't a steady source of bodies. Spotting a gap in the market, less-than-salubrious characters realised that fresh bodies were worth their weight in gold to the right people. London is dotted with cemeteries, and in the dead of night the resurrection men would sneak in, unearth the freshly buried cadaver and spirit them away to a dissection hall. But this wasn’t enough for some. Armed with the knowledge that the fresher the body the bigger the bounty some took this grisly business to the only logical endpoint: murder. The resurrection men part of this exhibition focuses on one specific case, the Italian Boy murder. Three men, James May, Thomas Williams and John Bishop conspired to get a young boy drunk and drugged on laudanum. When he was incapacitated they tied a rope to his feet, and drowned him by lowering him headfirst into a well. The three toted his body around the various schools of anatomy, trying to get a good price, but the scientists became suspicious of the extreme freshness of the body and alerted the police. The men were arrested and eventually executed – their bodies ironically being dispatched for dissection to the very schools of anatomy they tried to deceive. The exhibition presents various artefacts from this case for us to consider, among them contemporary news articles, sketches of the men and most gruesomely, their actual tattooed skin. Explaining the story is a well produced video narrated by Ray Winstone (or someone doing a great impression of him). 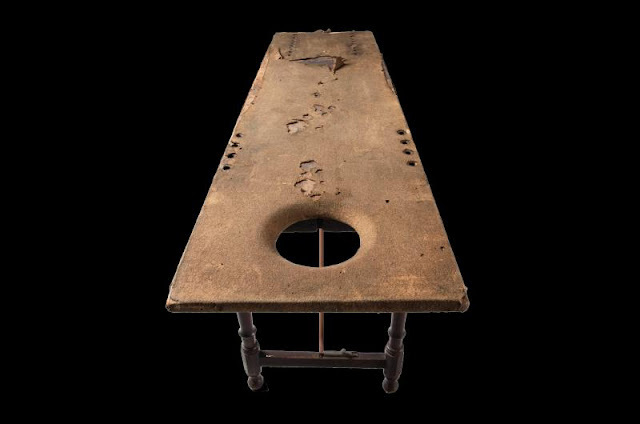 In the wider context of grave robbing, we see an example of an iron coffin, sealed to prevent people breaking in and a collection of popular accounts from fiction of the time. It’s very interesting stuff, the tone of this area feels like a higher-brow version of something you’d see at London Dungeon. 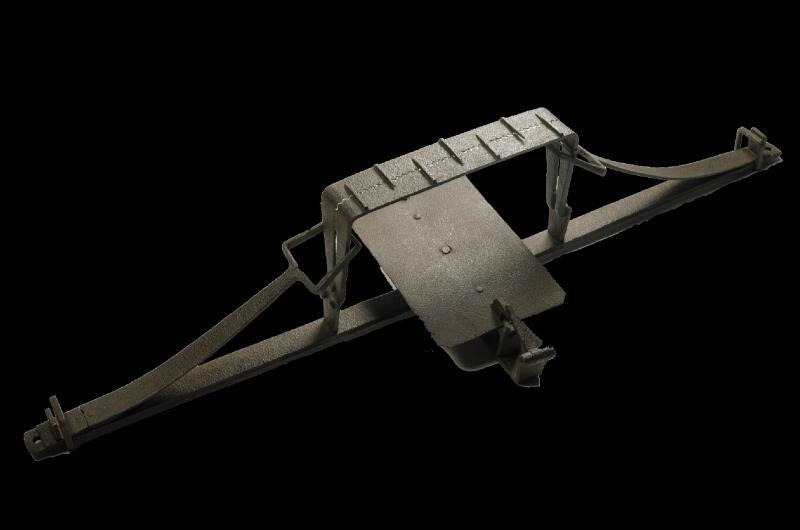 Man trap used to deter those who would disturb the dead. As we move through the exhibition, we begin learning about the enactment of the Anatomy Act of 1832. This aimed to provide anatomy schools and scientists with constant supply of fresh bodies, legislating that every unclaimed body will be donated to medical science. This would have two intended effects; it would allow for medical research to progress much more quickly and would end the demand for illicit graverobbed corpses. The exhibition allows us to ‘sit in’ on a debate of this Act. In a large circular space we see a video of recitations of the passionate debates in Parliament. The ‘Yes’ camp makes an excellent case in favour of improved medical research, but the ‘No’ camp makes some excellent arguments as well. I hadn’t considered before that if the candidates for dissection were unclaimed bodies, then they are far more likely to be those of the poor and desperate than the upper class. One of ‘No’ debaters makes an excellent point that in order to avoid any hypocrisy, those supporting the Act should pledge their own bodies for dissection upon their death. Below this video, lying silently in the middle of the room is a skeleton showing the blade and saw marks of dissection. It’s an effective symbol of the worth of the poor in C19 society, relegated to the role of onlookers as those in power argued over their fate. The potential exploitation of the vulnerable is a particular focus of this exhibition. It’s easy to look back and scoff at those who were so terrified of their bodies being dispatched for dissection, but throughout the exhibition we see cartoons of ghoulish anatomists laughing as they slice open peaceful looking bodies. Judging from the descriptions of some prominent surgeons and anatomists, ‘ghoulish’ doesn’t appear to have been too far from the truth. One of them, John Scott Harrison is painted in frightening terms, being described not only as being brusque and unfriendly, but as someone with “no sympathy for humanity”. And this was from the man’s obituary! When looking at the anatomical teaching aids here it’s not too difficult to imagine them being viewed with horror and disgust by the general Victorian public. There are a selection of sickeningly realistic sliced open wax heads, their eyes glazed and their tongues lolling from the exposed jaw. 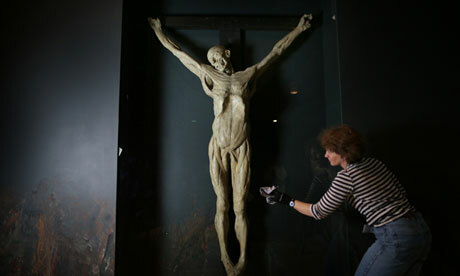 There’s a prepared full anatomical treatment of a young boy of two or three that seems to prefigure Gunter von Hagen’s Bodyworlds, the flayed body posed as if screaming to the heavens in pain. This juncture between medical learning and grand guignol is perhaps unavoidable, but nonetheless these items somehow seem to lean maybe a little far to the sensationalist freakshow aesthetic than they need to. It doesn’t make any sense, but somehow I can understand where these people are coming from. It’s a mistake to view a topic like this purely through a prism of cold logic. While it's an unassailable truth that the more bodies and organs available to medicine and science, the faster technology will progress, the better trained medical students will be and fewer people will die while waiting for a compatible transplant organ. But even with viewed with a modern enlightened, humanist mindset, the boundaries and composition of your body feel instinctively sacrosanct. The film also made me realise that cultural and religious practices also disproportionately affect the amount of transplantable organs for various ethnic groups. Religious commandments that bodies must be burned as soon as possible after death make perfect logical sense in a pre-industrial society, where the prevention of disease is hugely important, but in modern society it means that certain ethnic groups are vastly under-represented on the organ register. 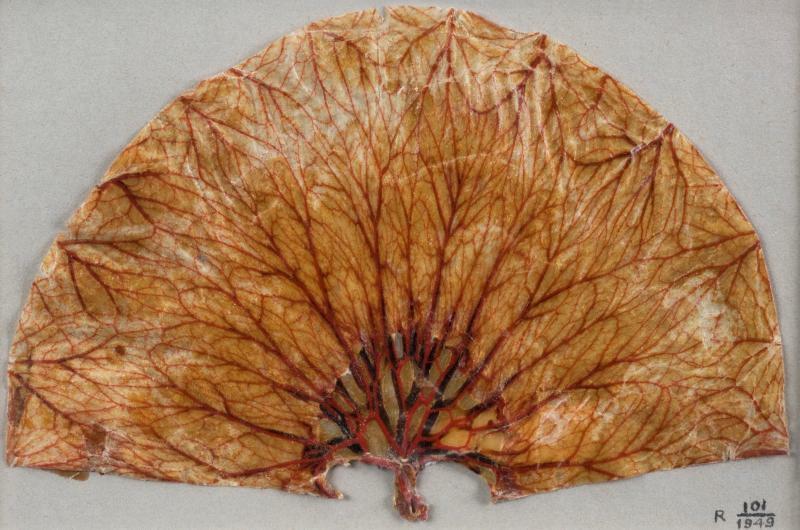 Section of stomach prepared by Edward Jenner. As you leave the exhibition, you’re confronted with one final exhibit – one that’s maybe the most eye-opening of them all: yourself. Two huge mirrors show you from the front and back as you approach. Ordinarily your reflection wouldn’t be a shocking sight, but after time spent in the company of human specimens, of seeing and hearing tales of scalpels slicing through tissue and bone and of imagining your organs being extracted and recycled into healthy individuals, it’s a sobering sight. It’s easy to subconsciously fool yourself into thinking you’re going to live forever, that death is something that happens to other people, but what the exhibition does here is bring the debate home with a thump. This is going to happen to you, either unexpectedly or not, so make a decision. This exhibition easily achieves its aims, and has clearly been put together with close attention to detail and thematic unity. My only minor quibble is that I wish the curators had explicitly taken a side on the organ donation debate. It’s blindingly obvious where their sympathies lie, and in this sense it’s laudable that they devote time to showcasing arguments against organ donation. We spend time in the final rooms going over both sides of the benefits of an ‘opt-in/opt-out’ policy on organ donation, and the argument is clearly stacked in favour of opt out (meaning that unless you explicitly objected, all bodies would be automatically harvested of transplantable organs). The exhibition taken as a whole presents a powerfully convincing argument that organ donation is both ethical and logical. Imagine if at the end of the exhibition visitors had the opportunity to sign up to the organ donation register? This would literally be an exhibition that saves lives! Memento mori - death is never far away. 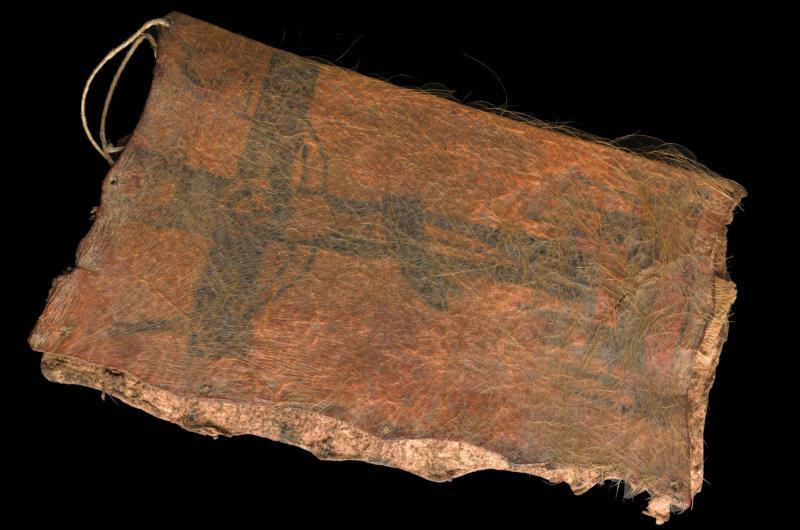 There’s probably a tangled web of laws and moral reasons why the museum can’t do that, and I guess people don’t go to museums to sign their bodies away to medical science. Even so, it’d be nice to at least have some information as to how to go about doing this (which incidentally you can do here, and will take you just a few minutes of your time and is something you should really really do RIGHT now because hey, you could get hit by a bus today and that liver could mean the difference between life and death for someone). ‘Doctors, Dissection and Resurrection Men’ is an exhibition that’s entertaining without being sensationalistic, powerfully presented without feeling preachy and hugely informative without the feeling that you’re being overwhelmed with data. I’d highly recommend it. 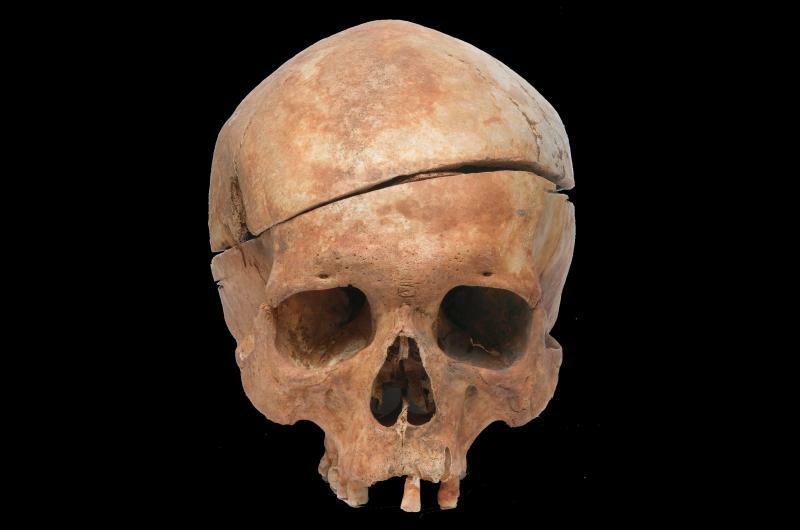 ‘Doctors, Dissection and Resurrection Men’ is at the Museum of London (10am-6pm daily (last adm 5.30pm), £9, £7 concs, over-12s) until April 14th, 2013. Many thanks to the Guardian for inviting me to the advance preview.